Waite Park City Hall Renovation — OERTEL ARCHITECTS, LTD. 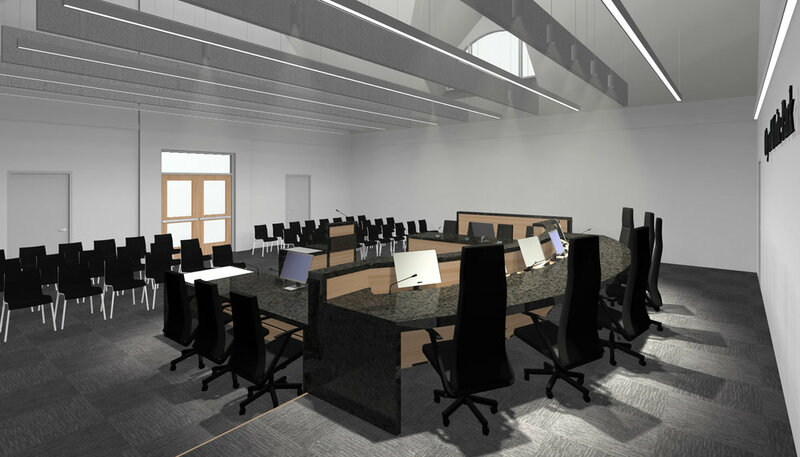 The City of Waite Park hired Oertel Architects to renovate the existing City Hall Council Chambers. The Council Chambers are currently in need of numerous upgrades, including lighting, telecommunications, acoustical, and Dais upgrades. We provided multiple design and renovation options to address the dated facility.